Is Skating the Perfect Summer Birthday Party? The answer is obviously YES! Roller skating is the perfect summer birthday party for any child and here’s why. Roller skating is a timeless activity. Families have been enjoying summer birthday parties at the roller rink for generations. And although there have been some additions over the years, the basics have remained the same since the beginning. Skating has such a perfect blend of fun, fitness, and awesome games (not to mention tasty concessions and space to hang out with friends) that marketing gimmicks have never been needed. Skating is great for everyone from toddlers to grandparents. Our skating center at Rainbow Skateland in Lockport, NY is family-friendly and open to people of all ages! Not only do we have roller skating, we have concessions, a Bounce Zone, arcade games, and Laser Tron to keep kids entertained. 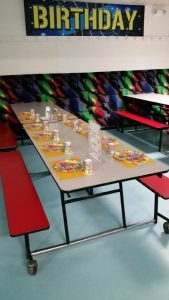 Every birthday party at Rainbow Skateland includes skate rentals, pizza, drinks, a party coach, and a reserved table for 8 guests (including the birthday boy or girl). We also throw in invitations, game discounts, and more. Plus, booking is so easy you won’t believe it! We also offer awesome add-ons like laser tag and mini golf. 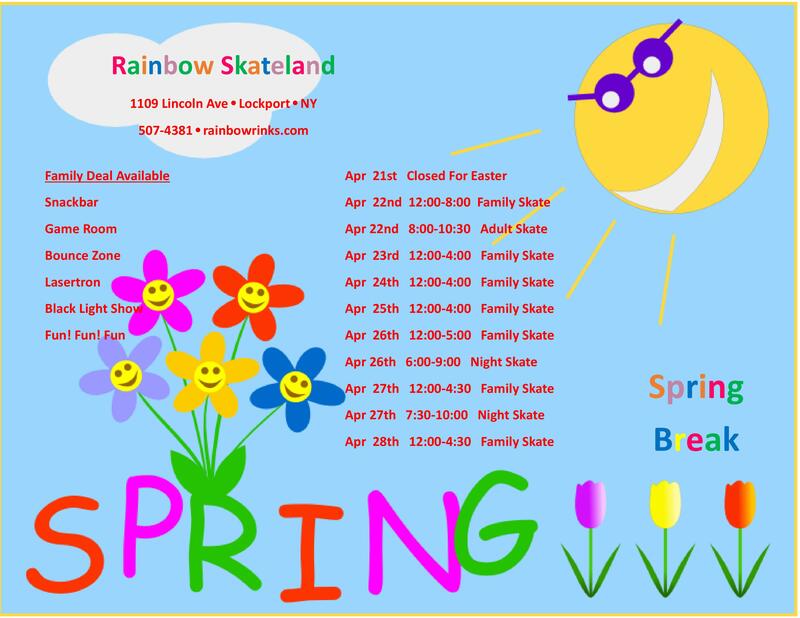 When you book a party at Rainbow Skateland, we’ll help every step of the way, from booking to hitting the rink. Give us a call today to learn more and book your perfect summer birthday party!